Looking for all the best resources to help you succeed at breastfeeding? Don’t have a whole lot of money to spend on classes and books? Breastfeeding is normal and natural, but it’s also a learned process that takes a lot of practice. There will be questions, obstacles, and challenges to overcome along the way. But luckily, there are several resources out there providing you with education, information, and some of the best breastfeeding tips and tricks at absolutely no cost to you. So, even if you don’t have a whole lot of money, you can still find the support you need to help you strive at breastfeeding. Listed below, are 19 completely FREE resources to help you and your baby through your entire breastfeeding journey. **This post contains affiliate links. See my full disclosure here. KellyMom is one of the most reputable sources for breastfeeding information, and it’s definitely one of my first go-tos. This website is written by a International Board Certified Lactation Consultant (IBCLC) and a mom of three. She provides her readers with evidence-based information on a wide range of breastfeeding topics, including what’s normal and what’s not, common breastfeeding problems, pumping, storing and handling breastmilk, and when it may not be safe to nurse. Plus, nutrition information for the breastfeeding mom. I feel like you can look almost any breastfeeding subject up on KellyMom. If you’re having latching issues or baby isn’t gaining weight, you should consult with an IBCLC as soon as possible. There are free directories online to help you quickly find one in your area. You can find an IBCLC using the United States Lactation Consultant Association’s directory search form, or there’s also a directory search on the International Lactation Consultant Association website. LactMed is an excellent resource if you have questions about a certain medication and whether or not it’s safe to take while nursing. 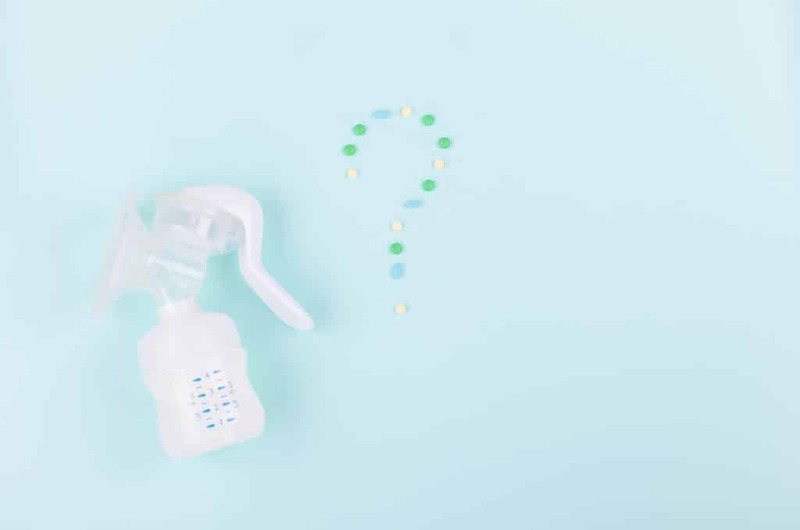 You can search any medication/supplement/chemical in their database, and it provides you with the levels that pass through breast milk and to your baby, possible adverse effects for your baby, and alternative options for drugs that are not considered safe. Plus, all the information is derived from scientific literature and fully referenced. You can even download their app for your phone for quick reference. InfantRisk Center is another great source for looking up medication safety while breastfeeding. You can search any medicine or supplement in their app, MommyMeds, or you can even call their hotline to talk to a real person about your age, weight, dosage, and age/weight of baby. Their hotline is open Monday – Friday, 8am – 5pm CT. The La Leche League International website is a mom-to-mom worldwide resource. It’s a place where experienced breastfeeding moms provide new and expecting moms with the education, support, and information they need to be successful at breastfeeding. On their website, you can look up breastfeeding information, webinars, personal stories, and find local help. The La Leche League also has a 24 hour hotline for breastfeeding help. 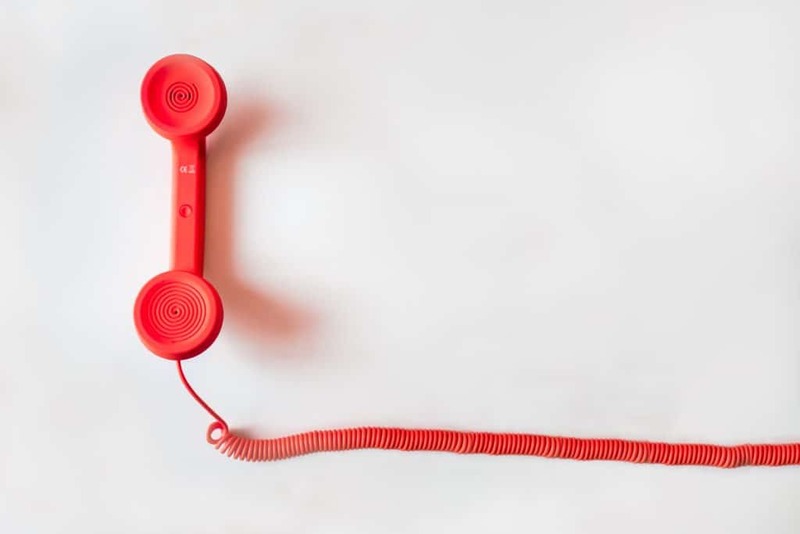 You can call 1-877-4-LALECHE (1-877-452-5324) at any time to talk to a LLL leader about any breastfeeding problem(s) you might be having. They are available to provide you with educational information and support. They can even provide you with contact information for your local LLL leaders. Many areas have their own LLL Facebook group for local mom-to-mom support. These groups are a great place to ask questions, find local breastfeeding resources, and just get encouragement. It’s a wonderful community to celebrate your breastfeeding accomplishments. You can also usually email or call your local leaders for one-on-one help. Their numbers are usually listed in the files, along with information on local LLL support meetings. Find your local group on the LLL website. There’s also a Facebook group dedicated specifically to breastfeeding moms that have to eat dairy-free for their allergic/intolerant babies. This group is loaded with information. It can definitely be overwhelming at first, but you quickly get the hang of it. This group was amazing when I had to go dairy-free for the first 6 months with my little girl. Click here to join. Not on Facebook? No worries! There’s still plenty of online support for breastfeeding moms. Medela has a free program for breastfeeding moms, called The Mom’s Room. By signing up for this program, you’ll have information and tips sent straight to your inbox twice a month. You’ll also receive some free samples in the mail and 24/7 access to speak with a certified LC. If you register your Medela breast pump on their site, you’ll also receive an access code to join their online Breastfeeding University at no cost. 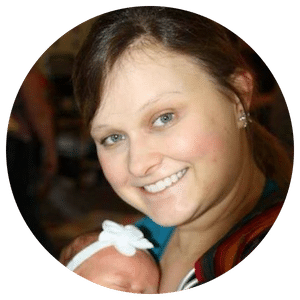 This Little Nest is a blog providing breastfeeding and pregnancy education resources for mamas-to-be. They have a free breastfeeding course you can take, and they also provide a free breastfeeding plan that you can download and take to the hospital with you. 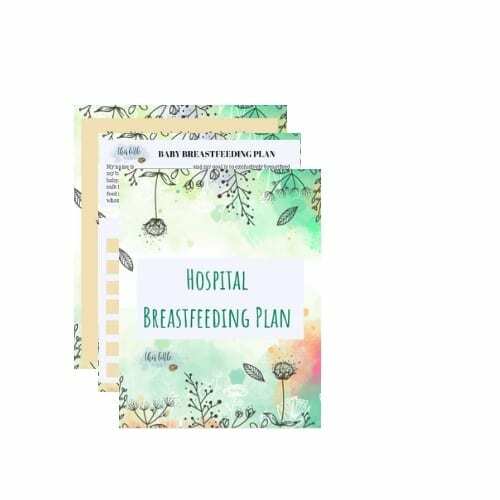 Having this plan in place will help ensure that the hospital staff understand your expectations and intentions, helping your breastfeeding journey get off on the right foot. Breastfeeding exclusively comes with a steep learning curve and many potential challenges. One of the biggest concerns of new breastfeeding moms is having an adequate breast milk supply. Mind of Mom has created a Breastfeeding Guide to Boost Your Breast Milk Supply, to bring you all the best tips you need in one place. For more tips on breastfeeding, pumping, and breast milk supply, visit our website mindofmom.com and join us on Facebook! 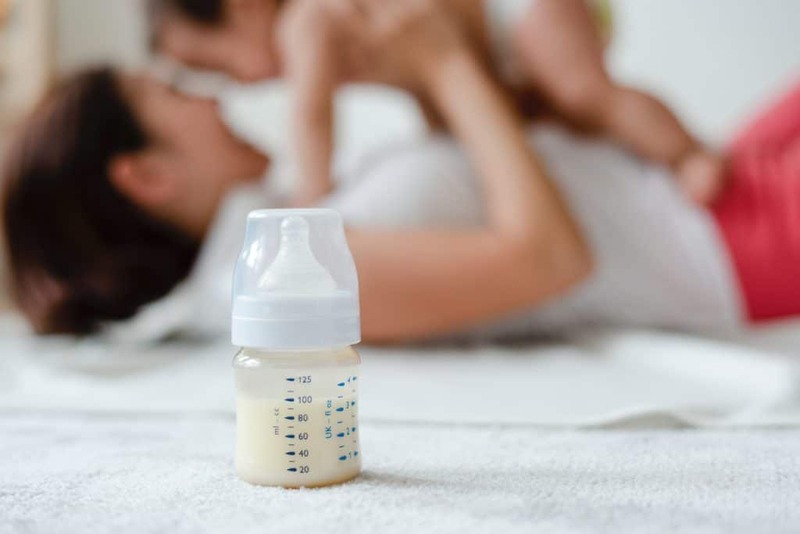 Exclusive Pumping helps moms who decide to breastfeed via a bottle – meaning that they pump breast milk for their babies around the clock and don’t nurse directly. There are many reasons a mom might make the decision to do this, including refusal to nurse, poor weight gain, or physical issues preventing nursing (such as cleft palate). This website contains everything a mom needs to know to exclusively pump, and we also provide support via a weekly newsletter and a Facebook group. If you’ve decided to exclusively pump, join us! If you’re struggling with low supply, donor breastmilk is your next best option for nourishing your baby. Human Milk 4 Human Babies is a network where moms share their breastmilk with other moms that may need it. It’s also a great place to donate breastmilk if you have an oversupply or just happen to have any extra breastmilk in your freezer. You can request or donate breastmilk through your local chapter’s Facebook page, which you can find here. Eats on Feets is another great resource for breastmilk sharing. Much like with Human Milk 4 Human Babies, Eats on Feets also runs off local Facebook pages. They also have free educational information on their website regarding safe breastmilk sharing and resources to help you decide if donor breastmilk is right for you and your baby. Find your local chapter here. If at any point, you decide to feed your baby breastmilk through a bottle, you’ll need to make sure you’re doing paced bottle feeding. Using this technique is important, because it can be very easy to overfeed a breastfed baby when using bottles, since breastmilk is so highly digestible. So, whether you’re headed back to work, exclusively pumping, or just letting dad take a turn, you’ll need to inform all caretakers of paced bottle feeding and make sure they’re feeding baby correctly. If you don’t, you may find your breastmilk stash quickly being depleted. Don’t have a breast pump yet? Aeroflow is an easy resource to use to quickly find out if you qualify for a FREE breast pump through your insurance. 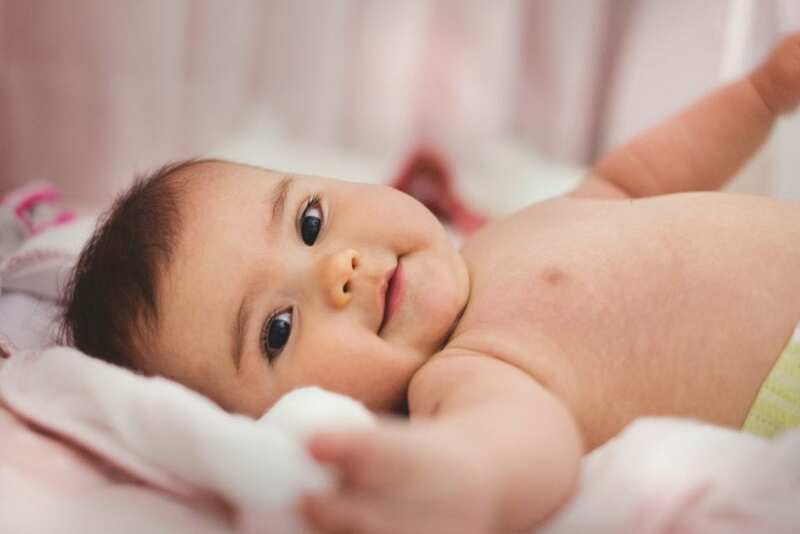 All you have to do is fill out the Qualify Through Insurance Form on their website, and you’ll quickly be notified if you qualify for a Medela, Lansinoh, Spectra, or Motif breast pump at little-to-no cost. If you’re headed back to work after maternity leave, you’ll want to be sure to familiarize yourself with the latest Federal and State pumping laws, so your employer can’t give you a hard time if you’re covered. You can find the Federal Break Time for Nursing Mothers over at the Department of Labor, and the National Conference of State Legislation covers Breastfeeding State Laws. KellyMom also breaks down your rights in an easy-to-read format. If you’re like me and have a wild toddler running around, you’ll probably need a way to breastfeed hands-free. Babywearing can be an excellent tool to help you nurse on-the-go. It’s also a great way to help get things done during those crazy cluster feeds. The San Diego Breastfeeding Center has so many videos out there on YouTube to help you learn how to breastfeed in a carrier safely and easily. They cover different ages of babies and different styles of carriers, including soft-structured carriers, wraps, and ring slings. They also have other instructional videos on their YouTube channel to help you with latching, positioning, and breastfeeding twins. 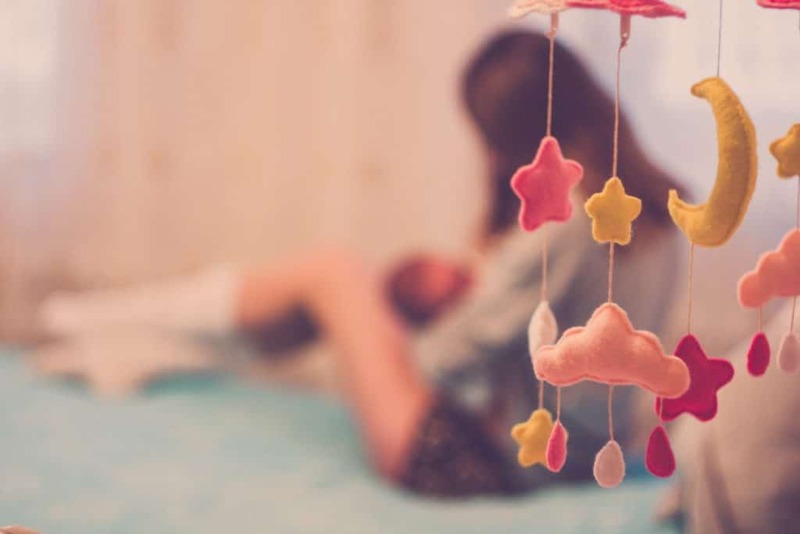 Breastfeeding may not come easy for everyone, but you’re already getting you and your baby off to a good start by having all the best resources handy. Take full advantage of these free guides, groups, videos, and hotlines. They’ll give you the advice and support you need to overcome any challenges or obstacles you may face throughout your breastfeeding journey. Did this post give you some ideas on where to find free breastfeeding education and advice? Are there any key resources that I missed? Share which resources you’ve found most helpful in the comments below, and be sure to share this post with other breastfeeding moms and moms-to-be. Hi, I'm Nicolle! I'm a natural-minded mom, who's passionate about helping new and expecting moms, just like you, through the messiness of pregnancy, babies, and toddlerhood. Welcome to the site! I'm so happy you're here!